This image is from a recent shoot, about a month ago. I like to revisit my images a few weeks after I shoot them, it improves the way I edit the images. I really like the images from this shoot. The dog is huge, and still growing. He has a sort of Mohawk hair cut which gives him a sort of goofy look. The way he’s leaning into the frame builds on this feeling. This is one of the few images I’ve used without cropping, surprisingly one of the others is a dog as well. 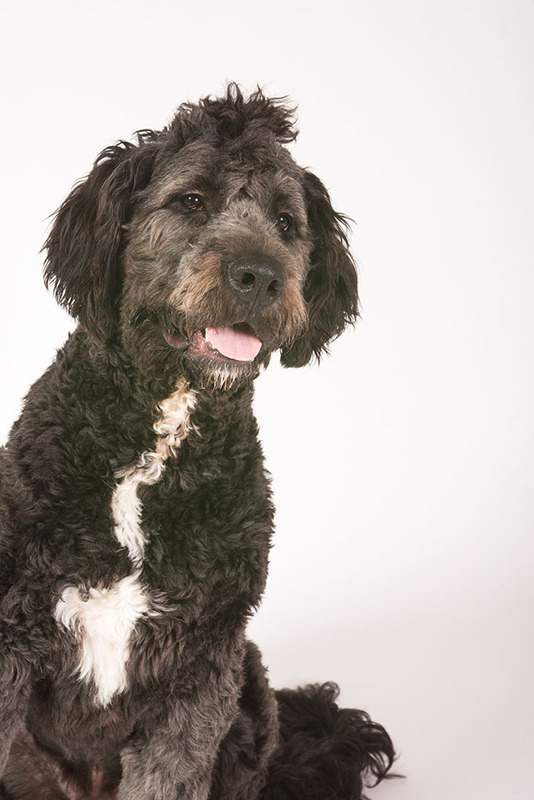 This dog is a cross between a poodle and a St. Bernard. I’m sure he’ll be interesting and a challenge! 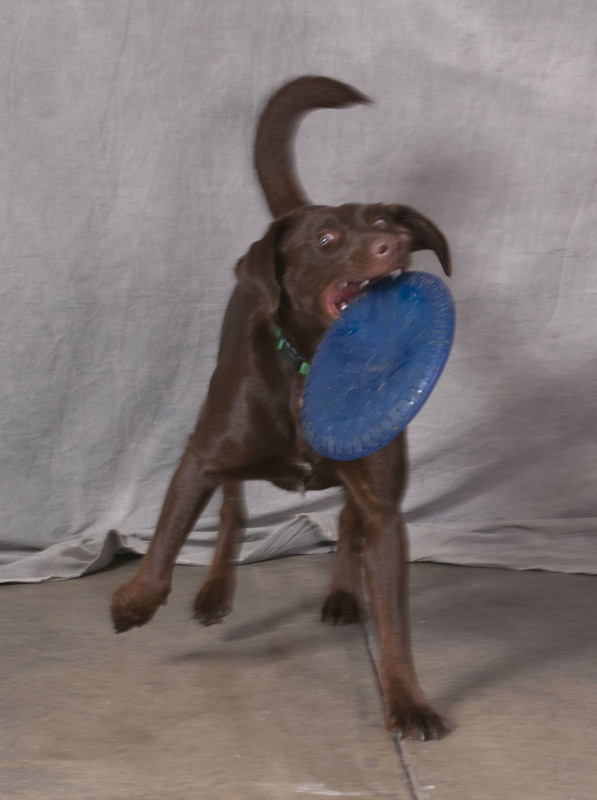 My own dog, a simple chocolate lab, is still unsure of how to behave in front of the camera, but we’re working on it. Coco & Her Favorite Toy! I used my Nikon D800 and a Tokina 28-70 f2.8 lens for Ghost Dog #1. I was in the studio with my Norman 900 series strobes. I used the big soft box, a converted Broncolor Hazy Light, and a light panel. It’s important to give enough light, and to have some direction in the lighting, or the dog will appear shapeless. Anyway if you want a print of Ghost Dog #1, use the link below. I’ll send you a print mounted and matted to 16X20 inches. No additional charge for shipping in the U.S.
I’m going to give a Micro-Photography Workshop soon (http://siskinphoto.com/blog/?p=3105) and another Lighting Workshop, probably in March. Please check them out. You can find out more about my workshops, and access some FREE Classes at my website. In my experience shooting animals is a lot like shooting children: you must be set up and ready because the subject won’t sit patiently while you get ready. 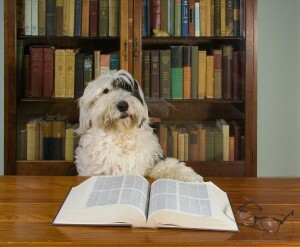 With an adult or a non-living subject you can work for hours looking for the right combination, but not with a dog. I got less than a dozen shots before Dodie, that’s the dog by the way, wasn’t having anymore. Treats will only buy you just so much attention. I had the lights and the camera ready, the exposure dialed in as well, before I brought Dodie over to the table. I also had a pocket full of treats. I think I only got three shots with the glasses. I stood between the dog and the camera, trusting that everything was properly set. If I had moved behind the camera Dodie would have moved as well. The sitting was over in about 15 minutes. I used a Calumet 750 travel light and a 60-inch umbrella here. The camera was a Kodak DCS Pro 14n. This was my main digital camera for quite a few years. One of only two full frame cameras when it was new, and the only one with a Nikon mount. I got two shots I thought were special from this sitting. 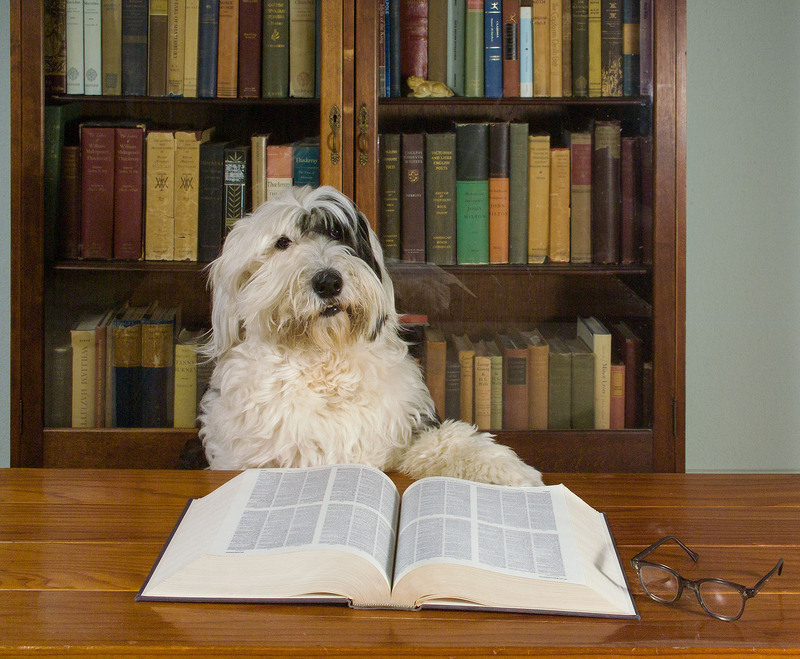 This second version, which I call Smart Dodie looks like she is giving a lecture. I’ll probably put up a separate purchase link for this shot soon, but for right now you can see a larger version by clicking on the image below. I should also mention my book B-Four. I put this book together with many of my favorite images. I’ve just added links to the book from other images that are included. You can see all the images if you go to the link. 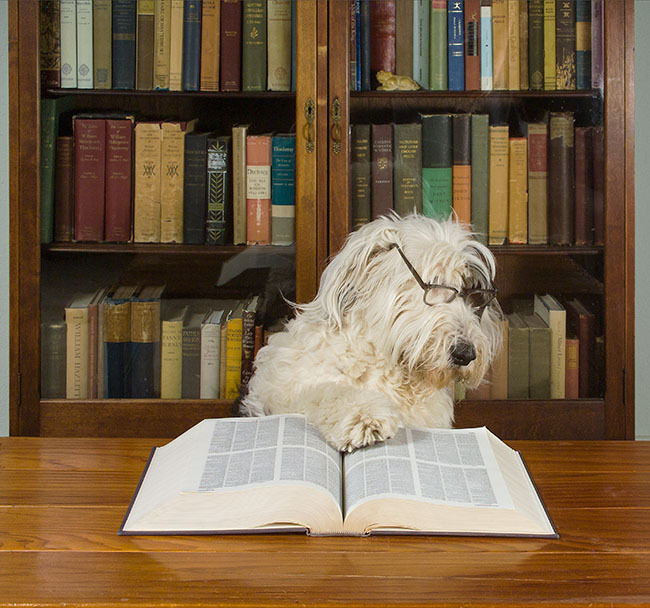 The link below will let you order a print of Dodie the Reader mounted and matted. The image will be about 13 inches wide, and about the same height. I hope you’ll consider ordering one, the price is just $125, which includes shipping in the United States. If you’d like me to send a print somewhere else let me know at john@siskinphoto.com, I’m sure we can work something out.